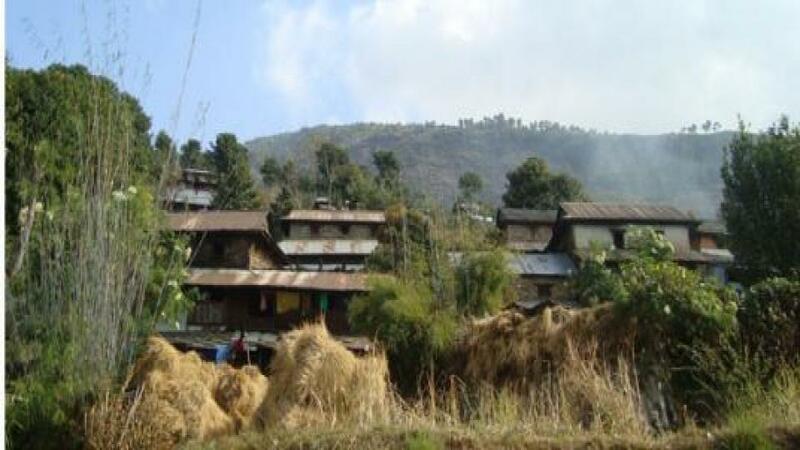 Dhading is one of the remote districts in the central region of Nepal. Although the district is located at the border of Kathmandu valley in Bagmati Zone, many parts of it are still inaccessible by road. The mountain range Ganesh Himal is the prevail mountain range situated at Dhading. Some of the mountains are more than 7,000 meters (23,000 ft). The 8,000-meter (26,000 ft) above mountain Manaslu is clearly visible from almost all the places of Dhading. The Prithivi Highway connecting Kathmandu and Pokhara goes through the southern part of the area making for easy access to and from the Kathmandu valley. Homestay tour in Nepal village is the best possible way to explore the agriculture lifestyle, their livelihood, hospitality, cultures and religions preserved by the groups in one particular village. Our homestay program gives a golden opportunity for those people who are seeking to spend time with local people and live with them. The best part of homestay tour is to learn culture of various ethnic groups by interacting with them. Dhading home stay is one of the best and close home stay program from Kathmandu .Stay at Dhading village also gives you a close up view of Mt. Ganesh Himal which is over 7500m and crystal clear rivers, jamuna river waterfalls, and many other interesting locality along the way and when you reach to the place too. Some of the activities you can see around the village is fishing, farming, enjoy the local food and get in touch with the native’s culture and lifestyle. If you want to explore the remote village of Nepal within a short period time, Dhading (tripureshwor) Homestay is the best option for you. Namaste Treks will be glad to arrange this trip for you according to your time frame. Wonder around breathtaking views of the Himalayas like Ganesh Himal. Discover what an average Nepali life feels like up there in the Dhading village. Admire the pristine wilderness setting of Dhading village. Upon arrival, our guide will pick you up at the airport, and then show you to your hotel room. The rest of the day is reserved for your rest and preparation for your trip. You can also choose to roam around the Kathmandu Valley. Today in the morning we will drive from Kathmandu to Dhading district head quarter (Dhading besi), it's about 3 hours’ drive. We need to walk to Tripureshwor. We will be welcomed by the local villagers and served local foods. Here you can get panoramic view of Ganesh Himal, Manaslu and few more other mountains. In the evening we will walk around the village, you can also explore around the attraction of the area and then stay overnight with locals. We will further visit the village today. Some of the activities you can see around today in the village are fishing, farming, enjoy the waterfall in Ganga jamuna and get in touch with the native’s culture and lifestyle. You will be served local food. Then we will return back to Kathmandu and drop you to the hotel herein.